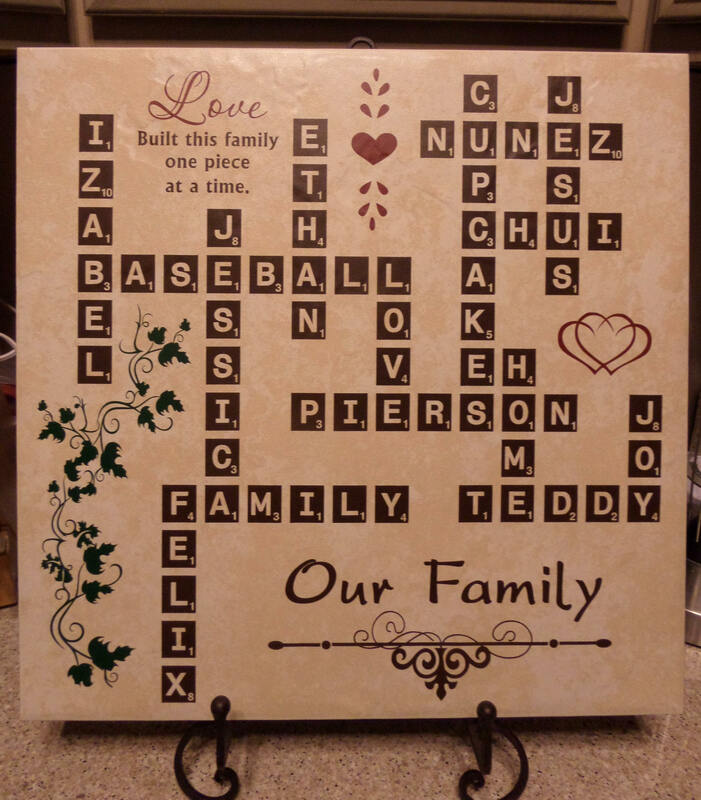 Our Family Tilez are a truly unique and personal item. 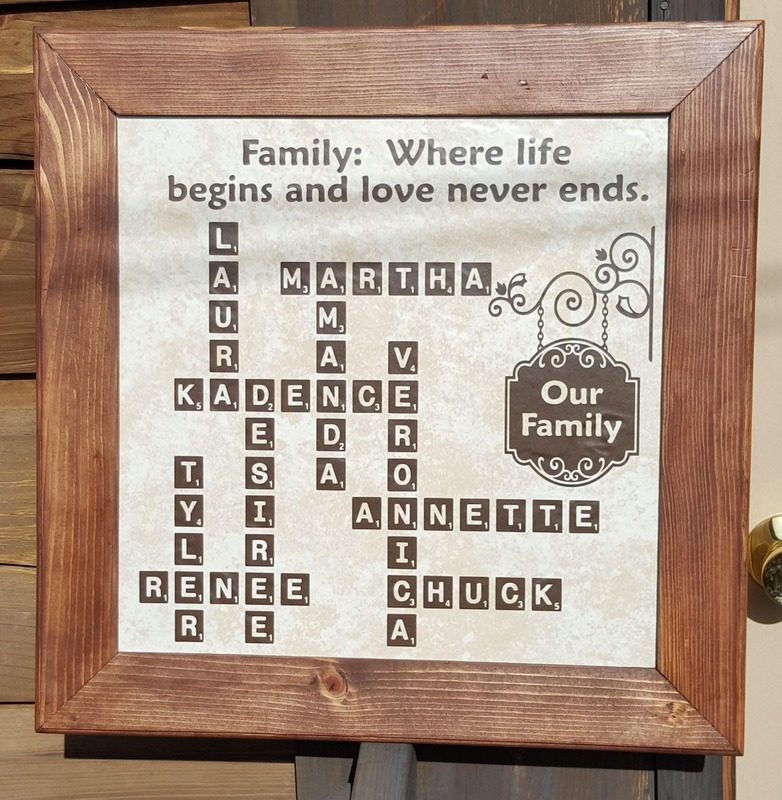 No two are ever alike although there are certain elements that are requested time and time again, such as the saying "Love built this family one piece at a time." But, you can request the saying of your choice, a Scripture, etc. Here is how it works. PLEASE READ CAREFULLY as you will need to be very responsive throughout this process. 2. 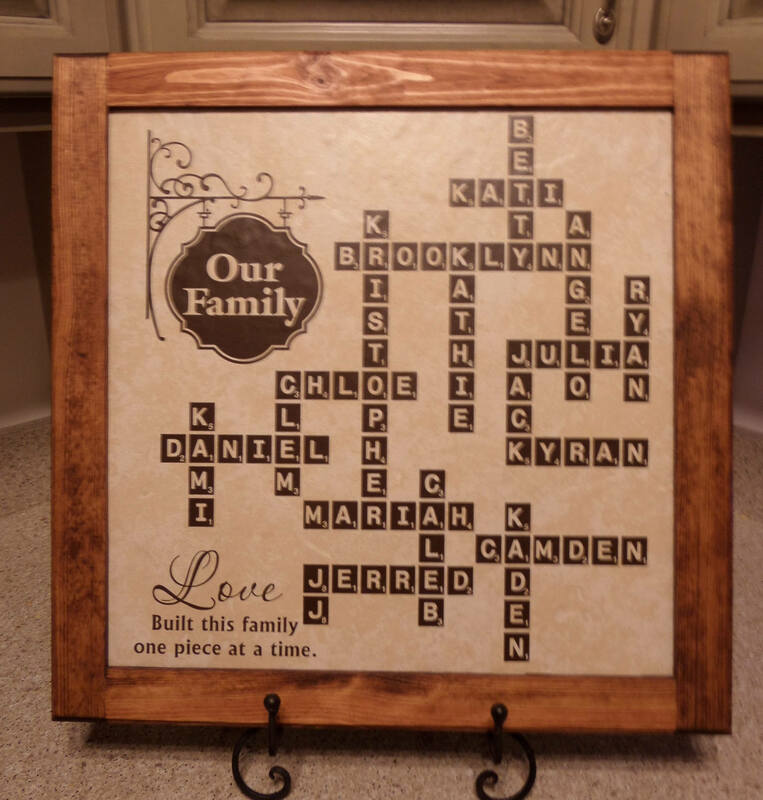 We will connect the names within the grid size that we need to create your treasured heirloom. 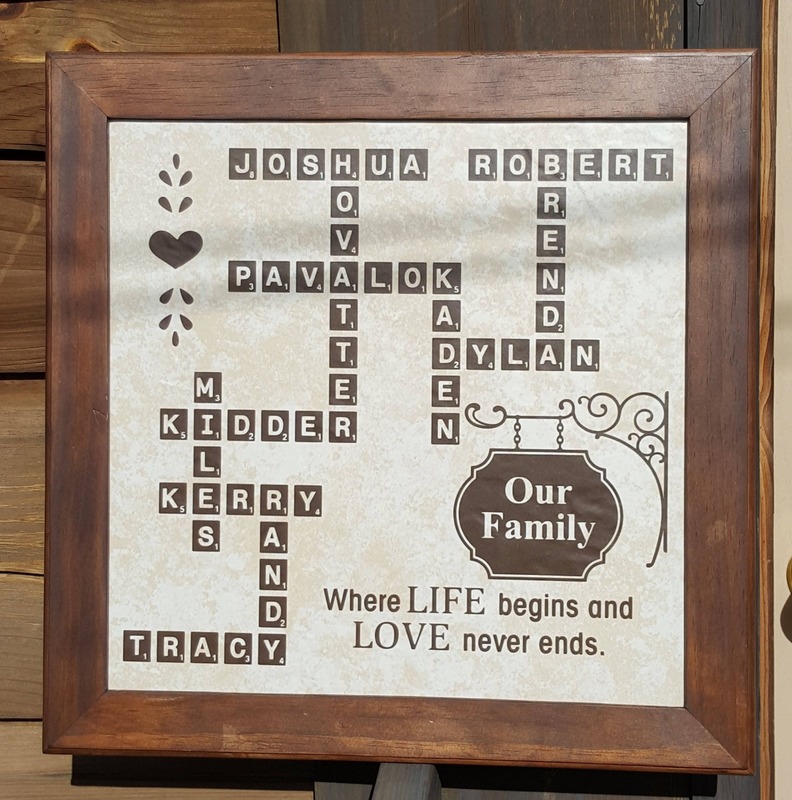 Please note, we will not attempt to connect them by marriage or parent to child, as it is extremely time consuming and usually the names do not connect due to lack of commonality of letters. 3. 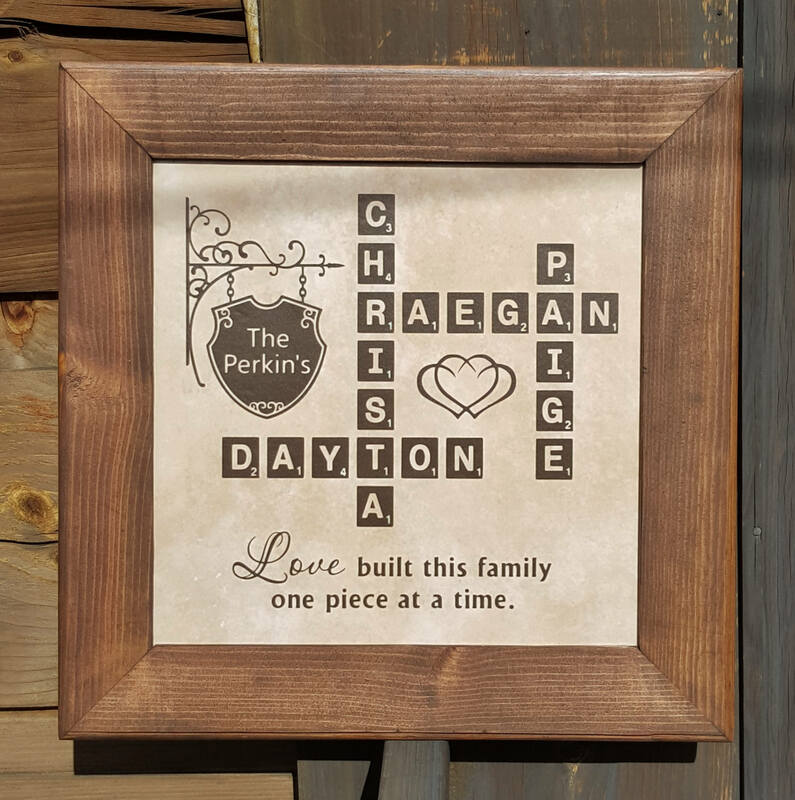 Once we have connected all the names, we will send you an email with a preliminary design. 4. You MUST CAREFULLY, proofread each and every name. Check it against your list to make sure that we have not left anyone off (and that YOU haven't left anyone off the list). 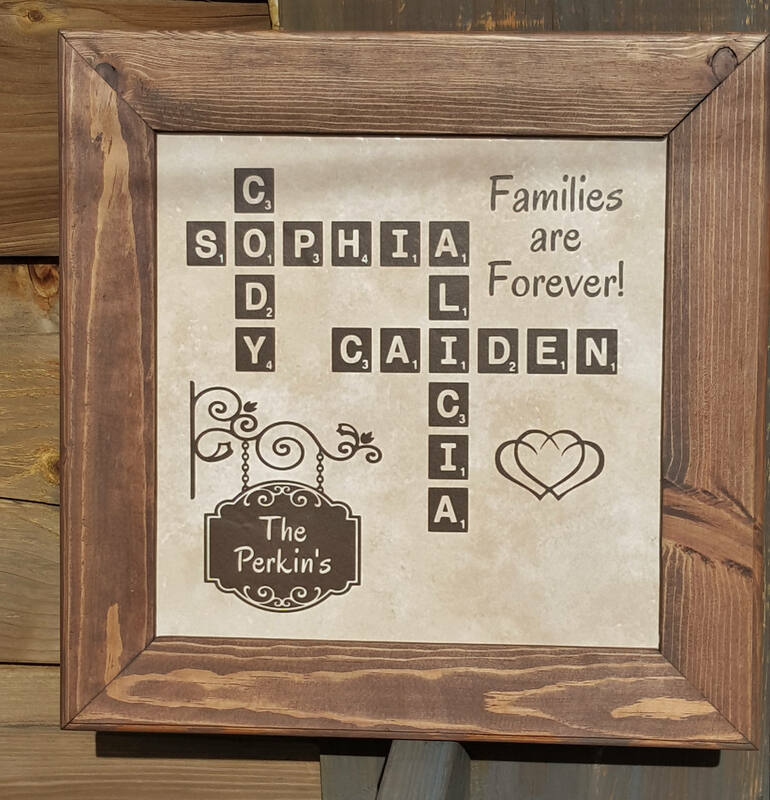 We connect the names by hand and do not have a program that does it. Therefore, mistakes can happen. 5. Promptly email us back with your approval or any corrections that need to be made. At this point small changes are not a problem. 6. 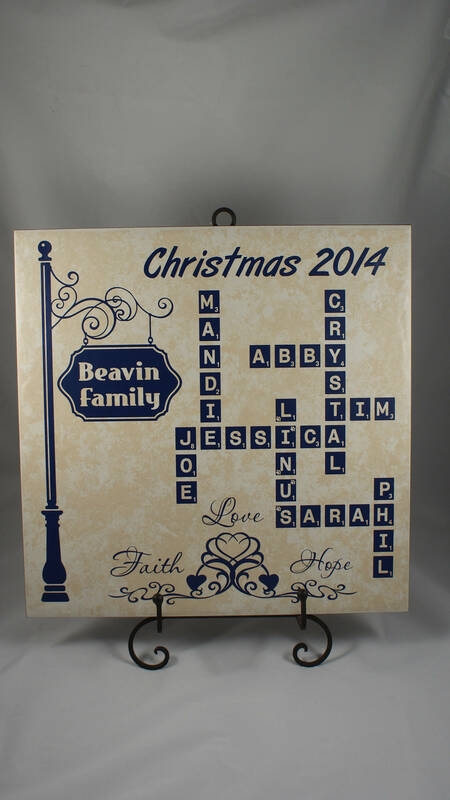 Once required changes are made, or your approval is received, we will begin cutting your Family Tilez. At this point, NO CHANGES can be made! 7. VERY IMPORTANT: Custom orders such as this are not returnable or refundable. At this point in time, we have a very limited number of frames available. 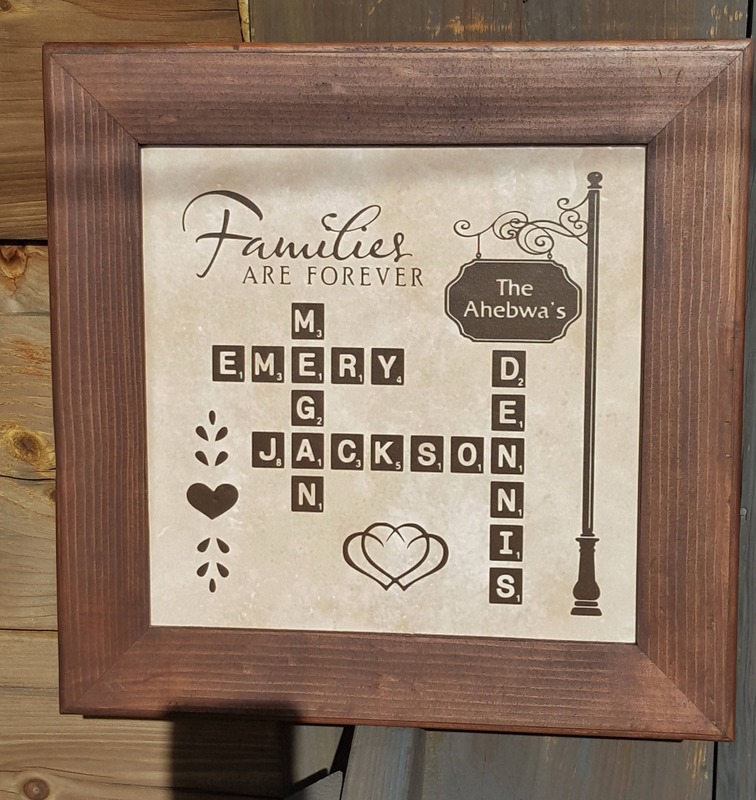 However, with that being said, many prefer to order them unframed and set them on an easel or have them framed elsewhere. These pieces, unframed, measure 16x16. They are large. We want you to understand the pricing structure so I'm going to explain it here. 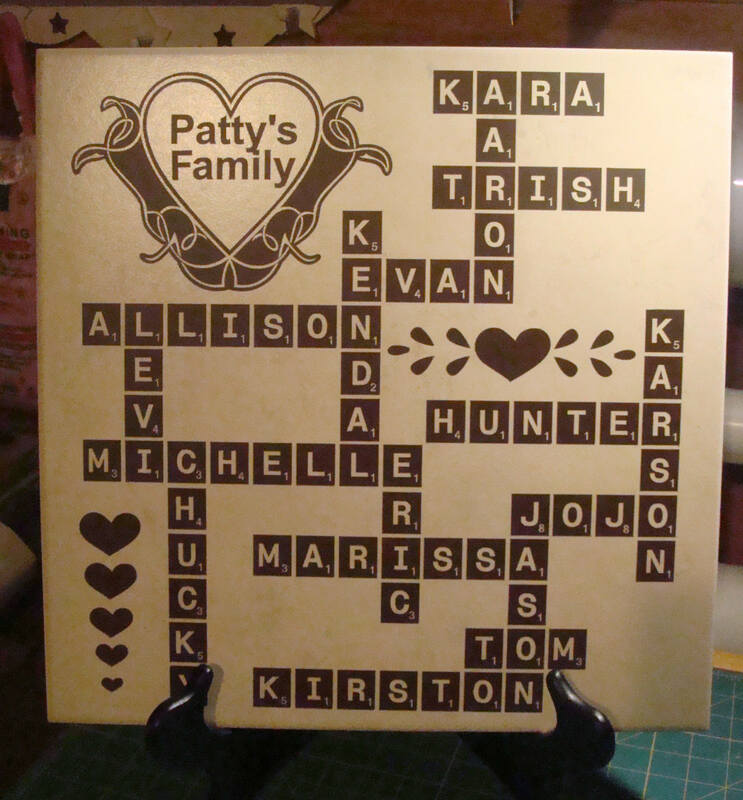 If you have more than ten (10) names, each additional name is $1.50. ***WE NO LONGER CARRY FRAMES! We recommend that you purchase an easel that is 18" or larger with a wide base if you choose to display it in that manner.